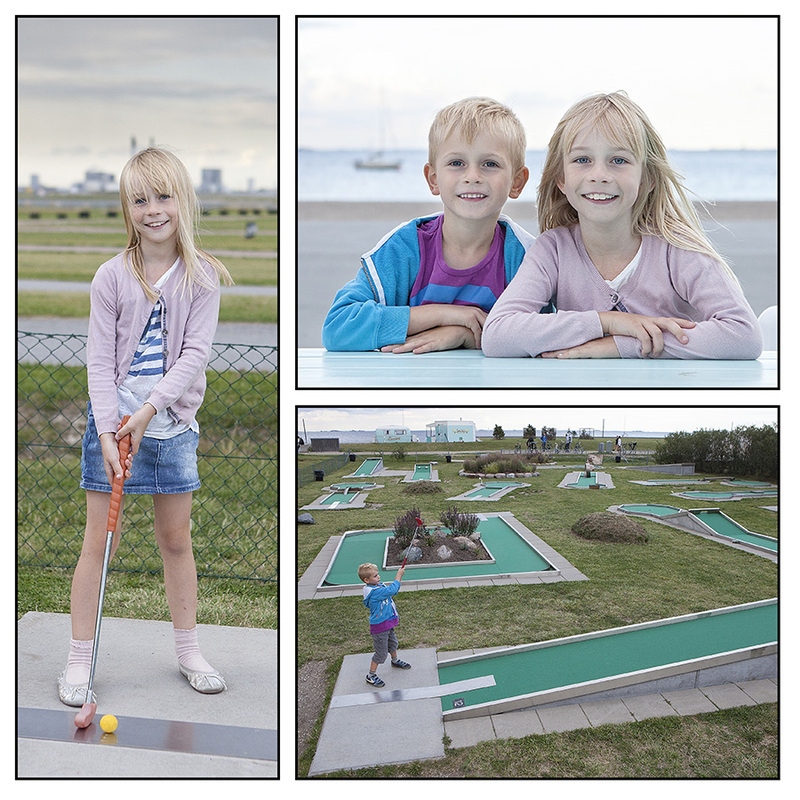 Today it is 10 years since Shawn and I got married so we decided to celebrate it with the kids by taking them out for dinner, some miniature golf, and ice cream by the beach. Shawn and I also celebrated the milestone by going on our traditional anniversary trip a few weeks ago. I expect to be ready with some pictures soon. As of now the months of January, February, and March have all been updated. 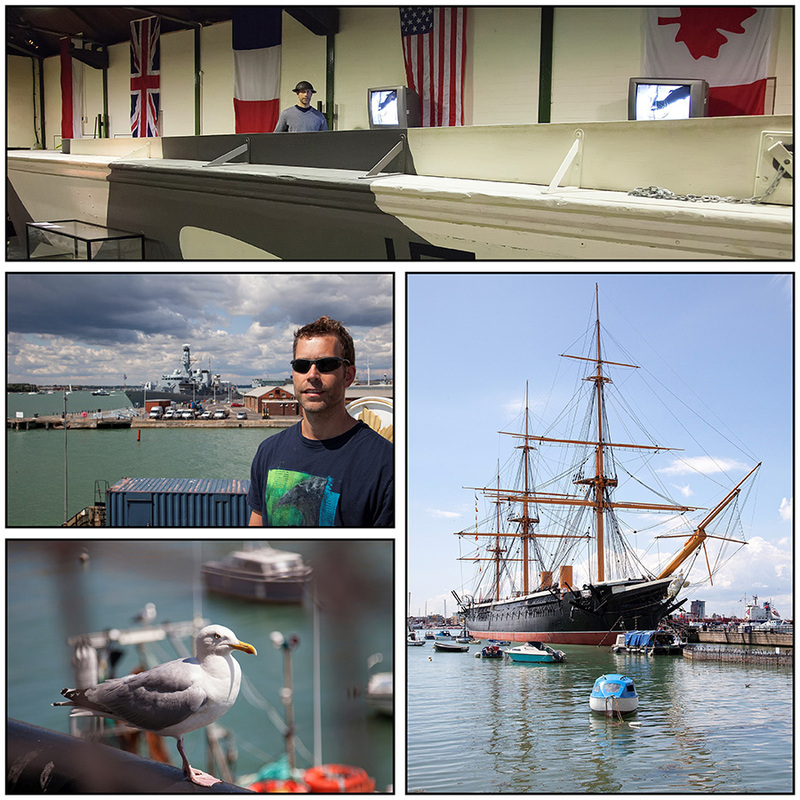 We took a day road trip through parts of southern England that included Portsmouth and the old English capital Winchester. 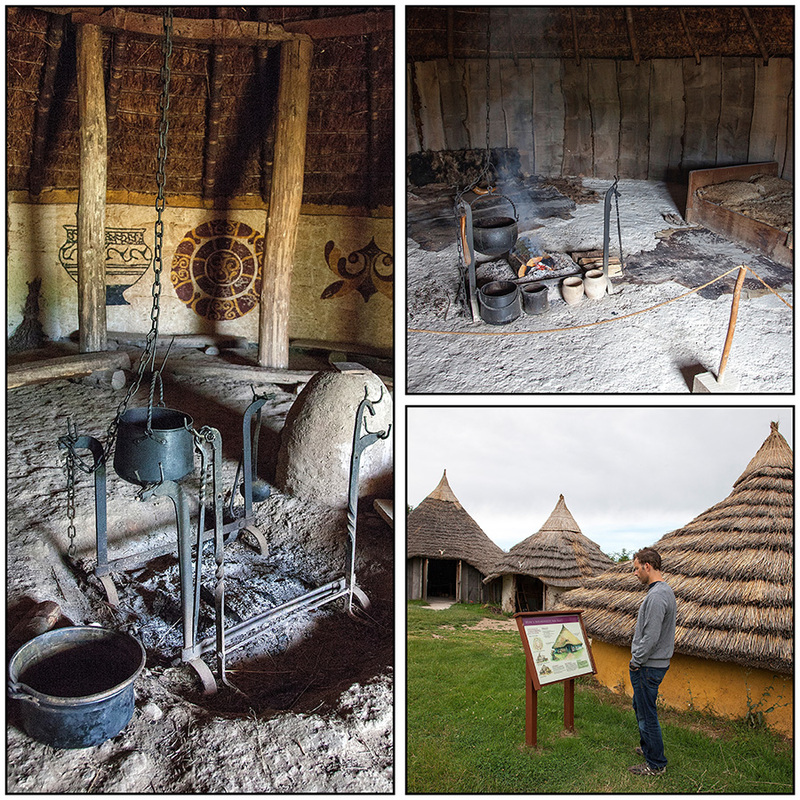 First stop along the way was an old Roman village recreation with some other older huts and dwellings primarily from the Iron Age. It was very educational. For instance, we learned that during the Iron Age an important ingredient in dying fabric was urine, which helped stop the colour from washing out. Cow dung was an important ingredient when making daub for the walls as it made the mixture elastic so the walls wouldn’t crack when the house moved. 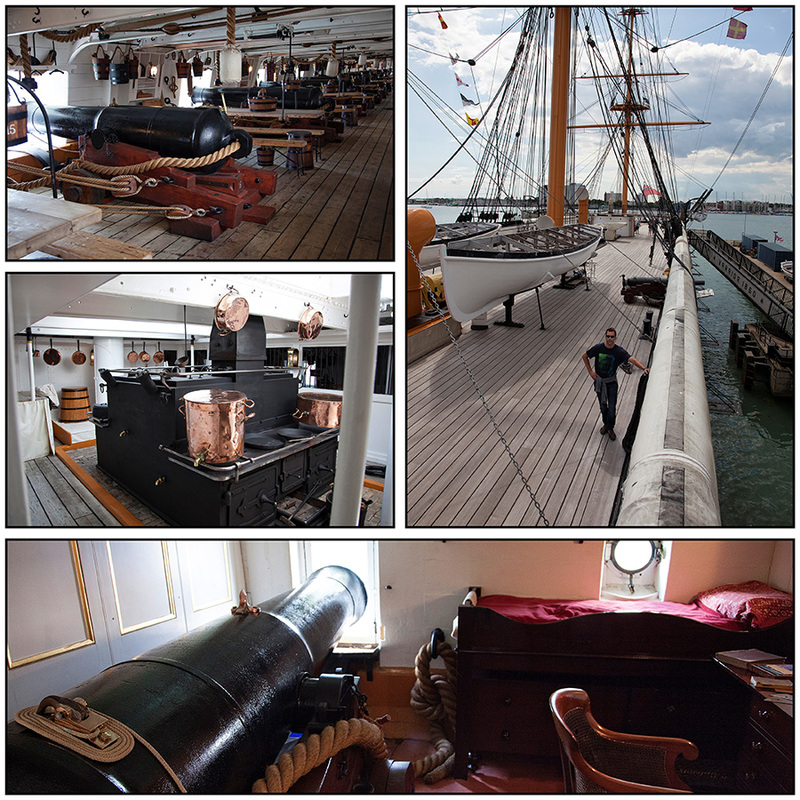 In Portsmouth we saw the Dday museum and then went to the harbour to tour an old Victoria era warship. 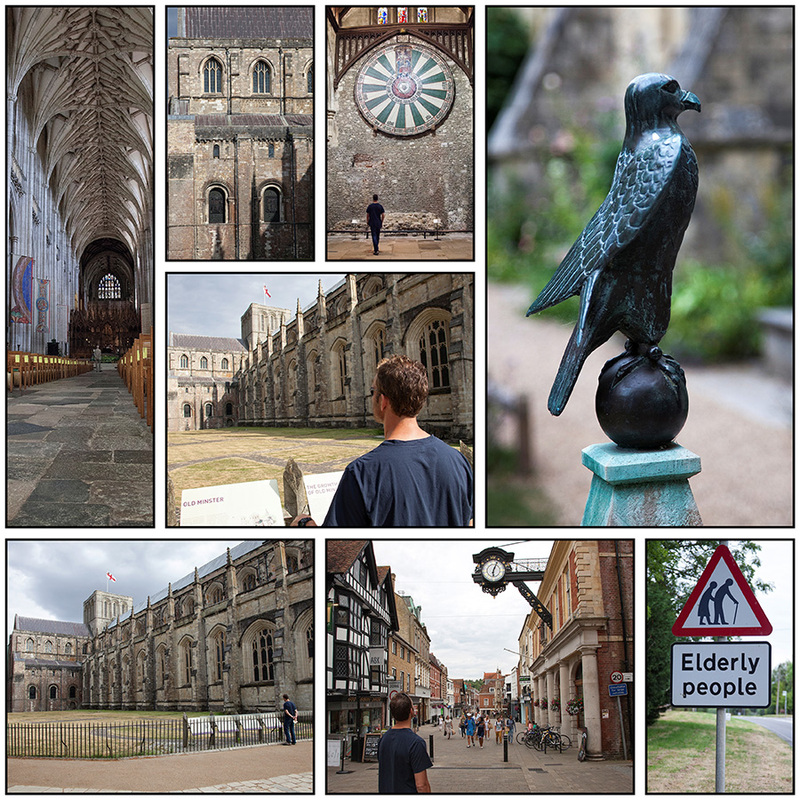 From there we travelled to Winchester and visited a 1000 year old cathedral. This is where one of England’s greatest novelists, Jane Austen, is buried. Finally, we proceeded to the Great Hall of Winchester. This is one of the finest surviving medieval halls and it contains the legendary Round Table, famous for centuries for its links with the legend of King Arthur and the Knights of the Round Table. 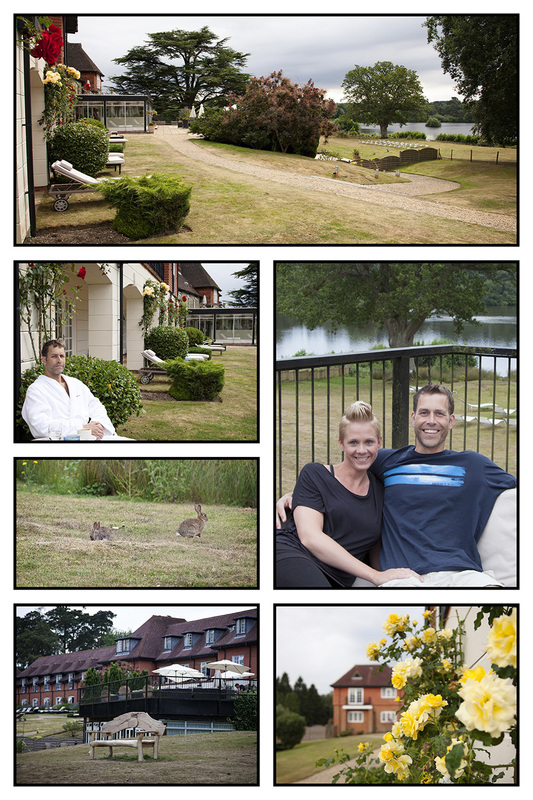 For our wedding anniversary tradition of getting away for a spa weekend, Shawn picked an old country estate in southern England called Champney’s. There was quite a bit of wildlife in the area consisting of rabbits, geese and ducks which shared the place with us. Although not quite up to the high expectations we had after considering how much we paid, we still had a very relaxing time enjoying each other’s company, good food, and some very peaceful surroundings. 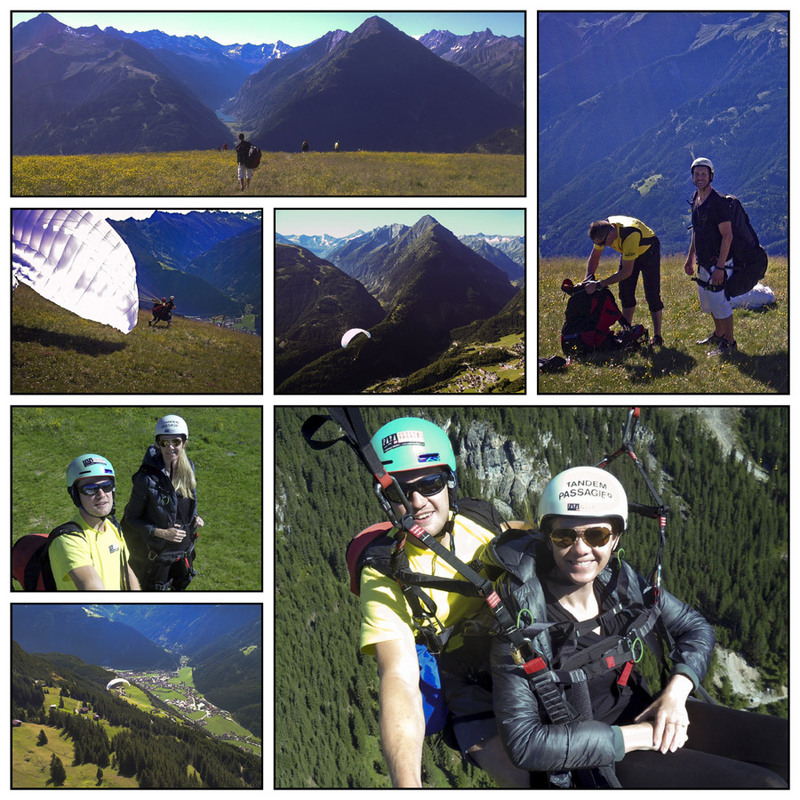 We bid adieu to the Alps and our great anniversary trip with some tandem paragliding off a mountain. It was a perfect morning with a gentle breeze and great blue skies. The views were fantastic and the ride down was quite gentle for the most part. Toward the end of the ride the drivers decided to let us experience some G-forces and had us do a corkscrew down just before we landed. Although slightly nauseating, we both made it safely to the ground to start our trip back to Denmark. 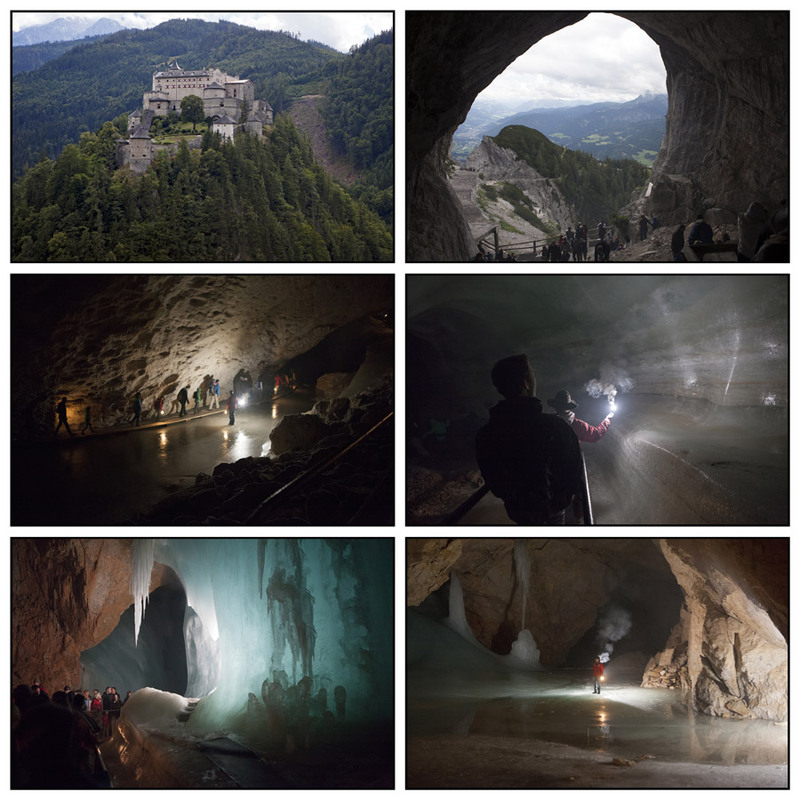 After visiting the ice caves we continued on to Salzburg which is famous, among other things, for being the location of the movie ‘The Sound of Music’ and the home of Mozart. 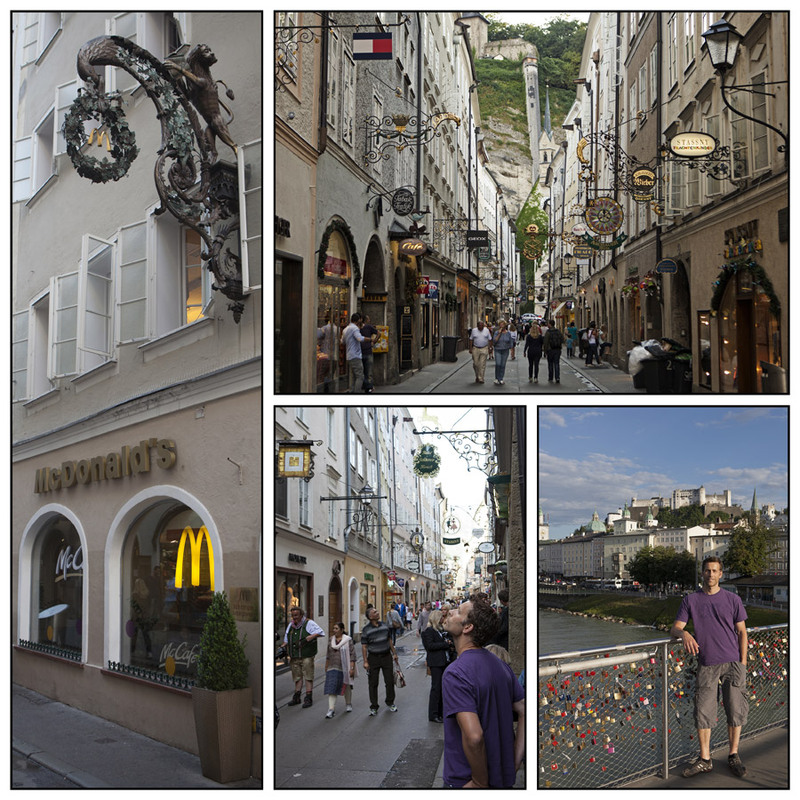 We took in the sights of the city and tried some famous Mozart Balls at a cafe in the old district of town. The main shopping street called Getreidegasse is famous for having decorative wrought cast iron shops signs hanging out in the street – even the McDonalds had a pretty cool one. 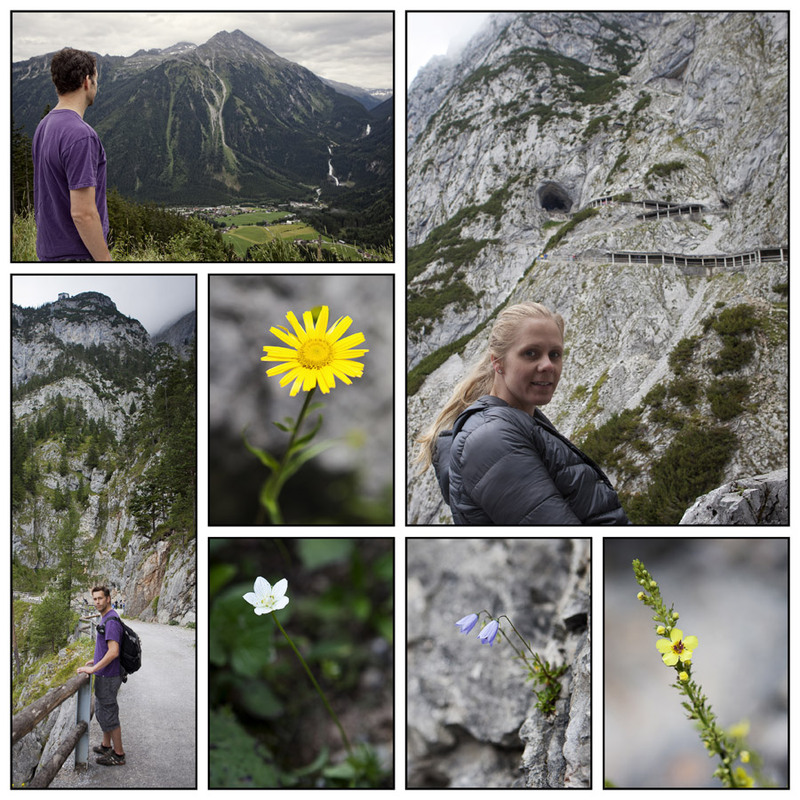 On advice from Shawn’s friend Oliver, we took a day to drive out to a big tourist trap near Salzburg called the ‘Ice Caves’. After waiting in line for a couple hours we finally got the chance to walk up the mountain to the caves. What looked like a very small opening from afar was actually a gigantic chasm out of which icy cold air was flowing. Once inside we were lead around by a guide explaining the history, discovery, formation,etc. Although picture taking inside the caves was strictly forbidden, I somehow managed to get a few quick shots in. 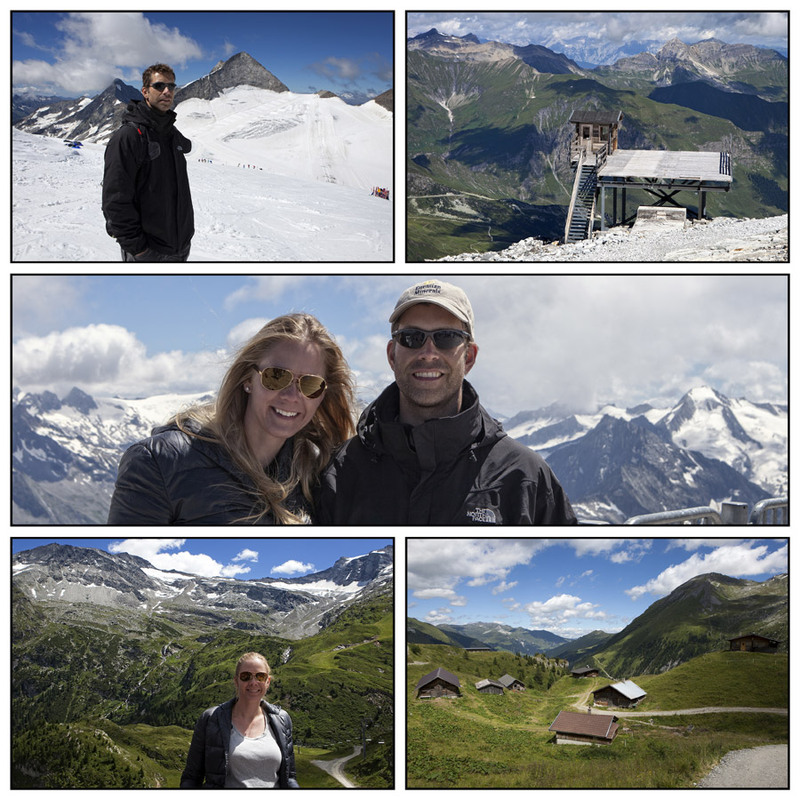 For our anniversary we decided to take a 4 day trip to the Alps in Austria while the kids stayed with Mormor and Bedstefar Carlos in Denmark. Without knowing too much about the area we were going to, we discovered that it was very close to the only place for year-round skiing in Europe. We took a ride up to the top and did some glacier trekking and got to experience some winter conditions in the middle of summer. On the way down we trekked part of the way with great views of the mountain valleys, waterfalls, and even some Swiss style cows with bells. It’s no secret that these past months have probably been some of the most frustrating and stress full months of our lives, mostly due to the house project. Two weeks before our 8th anniversary I suddenly realized that we hadn’t made any plans, so I had to come up with something in a hurry. 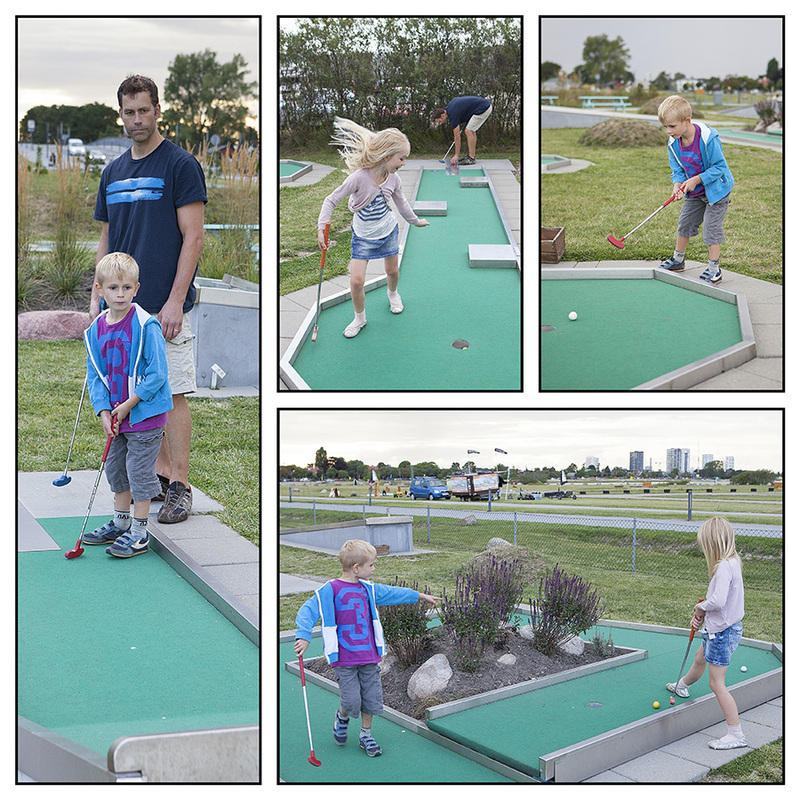 We ended up driving to Gothenborg, the second largest city of Sweden. We booked a room in what was supposedly the best spa destination in Sweden and although it didn’t top neither Ireland nor Switzerland, we had a very nice and relaxing time. Since we brought the car we seized the opportunity to drive around in the city a bit, and we also went to the art gallery and on a canal tour. On the canals we had to go under a bridge which was so low that everyone had to curl up on the floor and duck their heads while going under. This month has been the worst month in the history of the blog in terms of number of posts made. The house project is still to blame, but I’ll try and catch up these last couple of days before we go into the month of September. First off, I have some pictures from a very nice spa in Zurich, where we went to celebrate our 7th anniversary. Shawn had planned the entire trip again this year, so I just had to jump on the plane. The hotel was situated on a hill side overlooking the lake and everything was state of the art and very fancy. As the pictures demonstrate, it was sunny and warm and a very relaxing experience. Thanks goes out to my mom for making this trip possible by once again taking care of the kids.